LOWER MANHATTAN (WABC) -- The flag raised by New York firefighters at the 9/11 site in Lower Manhattan will be part of a new exhibit to be unveiled this week. 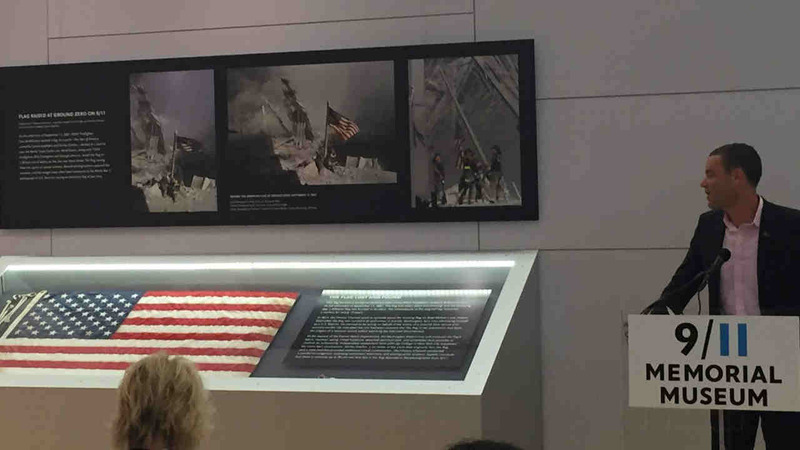 The National September 11 Memorial & Museum plans to open a new exhibit featuring the Ground Zero flag that three New York City firefighters raised above the World Trade Center rubble on 9/11. The moment was captured by Thomas Franklin, then a news photographer with the Record in Bergen County, N.J. The flag was missing for years, but was returned anonymously to police officials in Everett, Wash., then authenticated as the original flag. It has been donated to the 9/11 Memorial Museum. The new exhibit will debut Thursday.